Talent is the determining factor for any company and attracting talent for thriving start-up/small-medium enterprises is a big challenge as they are faced with limited funds. Addressing that problem, now through New Shifts, any business or not-for-profit organization can engage with a Change Seeker – gaining their invaluable experience on a project, offering in return a glimpse into a new environment that may inspire them towards a change in direction. New Shifts provided us with the ideal skill set and requirements match that fitted with our expansion and business development. We engage with an individual looking to make the cross over to a new field and found him very competent and skilled. The project was a success. This model works. Any company looking to provide work (experiences) to people in the market that are looking to make a career shift, or gain experience in additional fields, needs to contact New Shifts urgently. We chose New Shifts as it was an ideal platform to try and match talented and experienced people with our needs as a business. Even though we are a part of a Fortune 500 conglomerate the set-up in Dubai is more of a start-up. For us, New Shifts model was a win-win. We had a great experience overall with a great candidate who had plenty of experience and a business degree from one of the Ivy league schools but not necessarily experience in our industry.. In short, I would say it is easy to get started, cost effective and benefits are huge for everyone concerned. I would highly recommend this for any other organisation looking to attract talent outside the traditional route. Are you restricted by hiring budgets, but need talent without a full-time commitment? Or do you simply need talent on a project or seasonal basis? There are highly experienced individuals – Change Seekers – with mostly over a decade of career experience behind them, who want to offer their time and expertise in return for the learning experience about your business through an engagement with you. Simply create an opportunity highlighting what you can offer in terms of industry or network exposure. Search for profiles of Change Seekers, and when you find a talent that you think would be perfect for your business, request to unlock their profile. If they show a mutual interest, start the conversation and begin your exciting journey of intellectual collaboration. Are you a startup or small business and need some help to get to the next level? There are highly-experienced C-Level execs out there who are more than happy to offer their time for free to provide you with invaluable advice and mentoring to help you grow your business and achieve success. Over 17+ yrs experience - Experienced in all forms of marketing research (qualitative, quantitative) gained with MNCs. Experience in retail audit, measurement and census - Experience in product innovation, revenue management, and sales development - LBS MBA in Strategy & Marketing. I have more than 17 years of progressive experience in the shipping industry both on board ships and ashore. 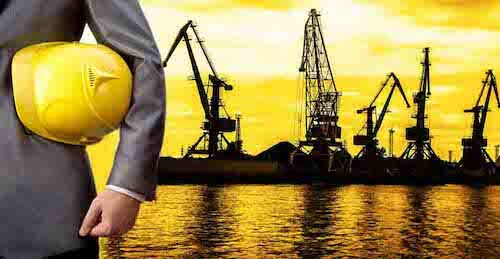 I have been the Head of Engineering team on the world's largest ship carrying Liquefied Natural Gas (LNG). I have an MBA from London Business School. Yes, New Shifts is entirely free to sign up. You can even create multiple opportunities for free. Is this a freelance site? We are fundamentally not a freelancing website as we simply provide an exclusive networking opportunity for Change Seekers to explore other interests with companies like you and reapply their skills in their spare time. There is no monetary exchange and the engagements are usually short-term or one-off. What type of companies is New Shifts aimed at? We welcome all companies. However, it will benefit you more if you are flexible in your approach. You may be looking for seasonal help or industry specific experts. You may be a startup or even a startup division within a large organisation. You may be using New Shifts as a pre-recruitment exercise or even to trial a new idea in a new region using local talent. You may even be seeking a new partner for your startup. It really is up to you! Can I find a mentor? Yes, absolutely! Please specifically mention that you’d like to find a Mentor when you create your profile. Don’t worry; we take your privacy very seriously. All opportunities are anonymous until you match with a change seeker. Only then can they gain your contact information. To unlock a profile, you need to create an opportunity. Once you find an interesting profile, click on ‘Unlock Profile’. If the change seeker also expresses interest in your opportunity, the profile will be unlocked and you will be charged $5. You are then able to start a conversation to see how you can turn the opportunity to a reality. If the change seeker doesn’t express an interest in your opportunity, then the profile doesn’t unlock and you won’t be charged. Will I have to pay a salary? No, you don’t have to pay a salary for the time offered on New Shifts. The aim is for individuals to offer their spare time in exchange for the experience your organisation can provide them. Internships are typically work placements for fresh graduates with no career or work experience. At New Shifts, our Change Seekers have generally over a decade’s experience within their career so already have a wealth of experience in the workplace and need little training. What Should I use a profile title? Please don’t use your company name here. Use a description to describe your type business. We pride ourselves on providing our companies and change seekers with anonymity before they match. I am a business owner but don’t have a website, what do I do? We purely ask for this information to validate your existence. However, we understand if you don’t have a website just yet, so please provide your LinkedIn profile instead. Don’t underestimate what you can offer a change seeker. Exposure to your industry and professional experience in your business are extremely valuable to our change seekers. Are there some perks or benefits you could also offer? By adding these you will make your opportunity more attractive. For example, if you are a training institute, you could offer training or discounted training. There are no minimum or maximum timeframes, however, anything longer than 3 months generally means you might need person full time for this type of role. This is where you can use New Shifts as a pre-recruitment exercise. Is there a limit to how many opportunities I can write? There is no limit to the number of opportunities you can create on New Shifts. In fact, we encourage you to create multiple opportunities, using different listings for each need you have. The opportunities on New Shifts are unique to each person and company. You can specify if you’d like to engage remotely and if a change seeker expresses an interest, then you can discuss further. Try your luck and open up the conversation. For example, if you’re interested in the profile, don’t let the time commitment constrain you. Express your limitations and see if you can negotiate. You will probably be glad you did! You will only get charged $5 if the profile you’ve chosen to unlock shows a mutual interest in your profile and yes you have to have a PayPal account, as you don’t get charged straight away. Your PayPal account will be blocked for $5 until your match is made. If there is no match made within 28 days, the block will be removed. Soon we will accept payments online using Visa and MasterCard credit/debit card in USD. No, unfortunately we don’t provide refunds if you match and don’t make an engagement with the individual. Our fee is for you to open the conversation and expand your network. Refunds may only be applicable in certain unforeseen situations, such as technical errors which might lead to a double charge. Refunds will be done only through the Original Mode of Payment. When you have unlocked the profile, you can now talk to the individual. The first step is to have an honest discussion. You don’t have to commit to engaging with each other after you open up the discussion but then don’t feel it’s right. However, even if you don’t pursue the engagement, at least you’ve met someone who thinks outside the box and expanded your network in a way that it might help you better understand what you’re looking for. Be open and transparent. Make sure you understand what they are seeking and ask questions to ensure you’re getting what you need out of the engagement. You need to define your expectations and communicate this proficiently for a successful and beneficial engagement. Do I have to hire them at the end? No not at all. You can use the engagement in many different ways and as you wish. If you want to use it as a pre-recruitment exercise or if you just need an extra pair of hands during a busy seasonal period, then that is entirely up to you. We only ask that you’re honest about your intentions and future plans and don’t give the individual false hope regarding a future full-time job opportunity. We suggest that you start an honest and open discussion to try and uncover why it’s not working. Revisit your profile and make sure you were clear about what you could offer. Perhaps the conversation could uncover some other issues that are out of your control. But ultimately the final decision is yours, you can persevere and try and make it work, or you can choose to end the placement amicably. What if I want to employ them afterwards? Do you take a referral fee? We’d be delighted if you offered a full time role after the engagement, but we would not charge a referral fee. We only charge a fee to introduce you. Whatever happens after that is between you and the individual.